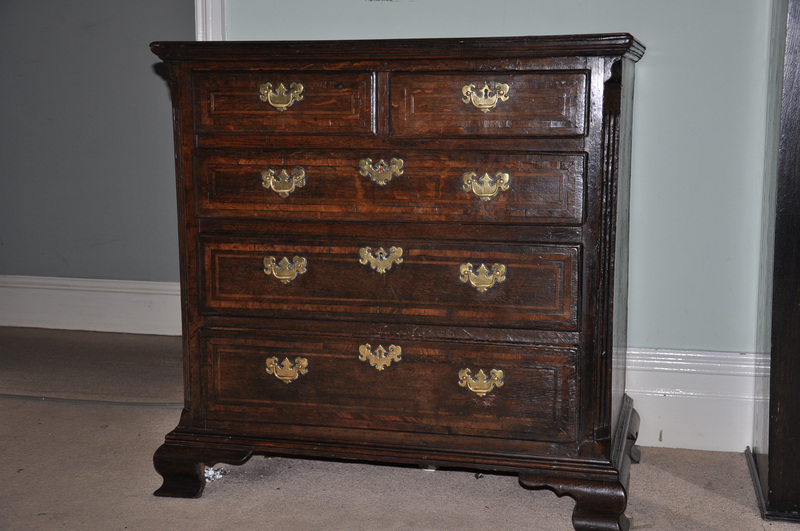 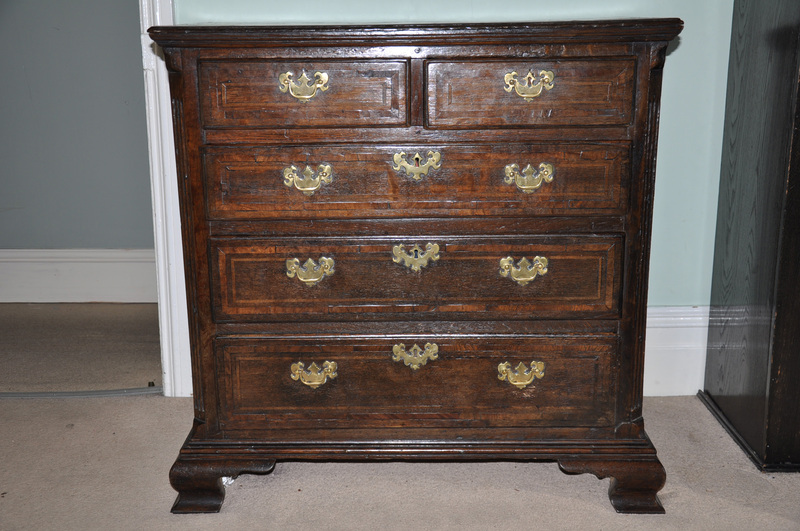 Interesting early 18th century Oak chest of Drawers of relatively small proportions with canted fluted corners, Burr Elm banding and sycamore stringing. 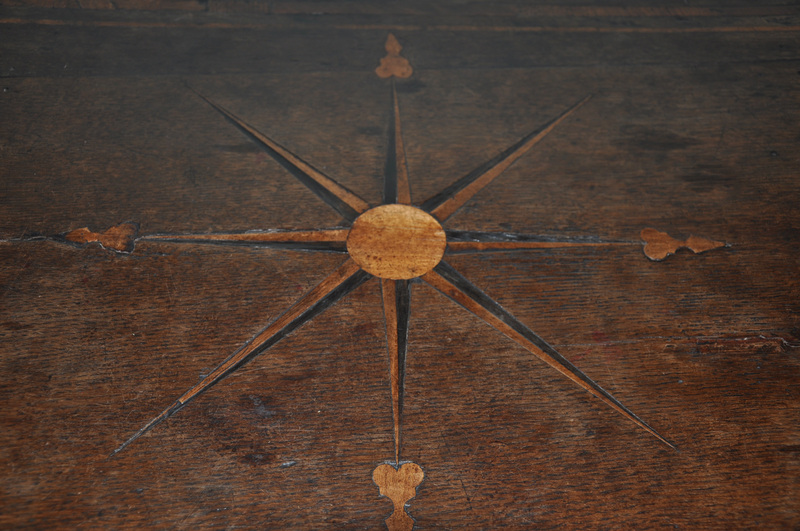 The top is inlaid with a sun burst in Sycamore and bog Oak. 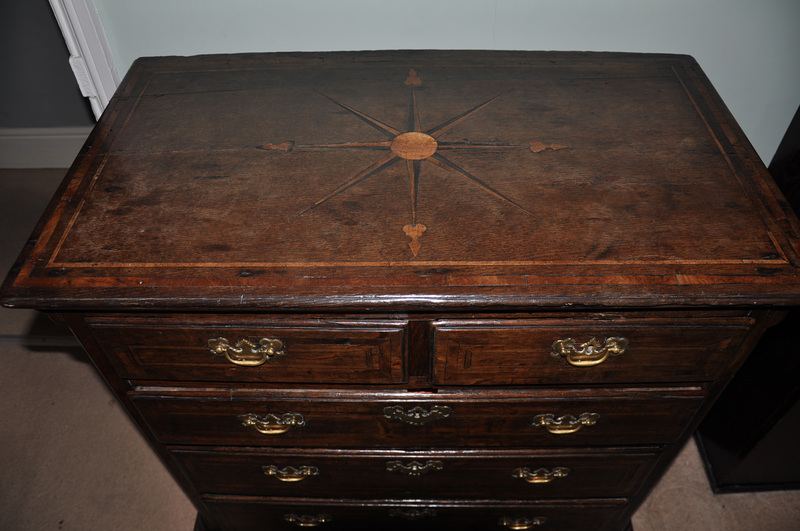 It is rare to see such a chest with original inlay in the top. 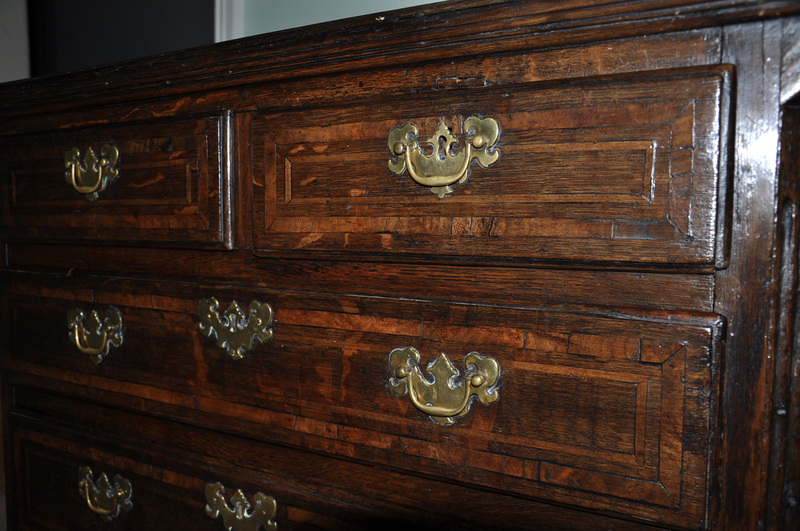 The linings of the piece are original and in pine. 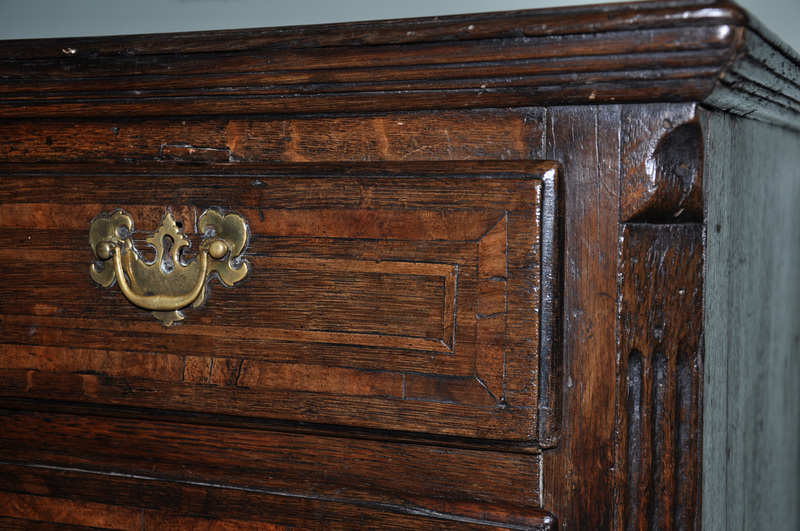 Handles later in keeping with the period.